Watch Battle of The Rivals Ateneo vs La Salle Replay. They played, they conquered, they won! 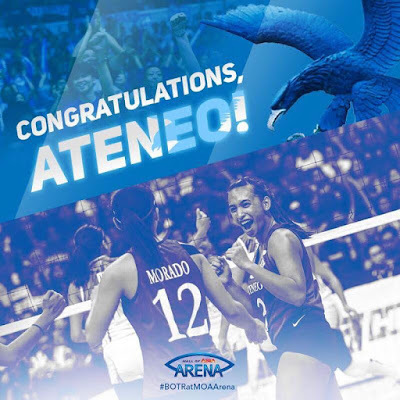 Congratulations to the Ateneo Lady Eagles! 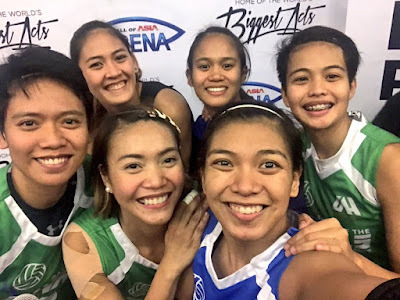 Ateneo de Manila University spearheaded by Alyssa Valdez and De La Salle University rekindled their storied rivalry as former and current players of the two proud schools clash in the ‘Battle of the Rivals’ benefit match on Sunday at the SM Mall of Asia Arena. 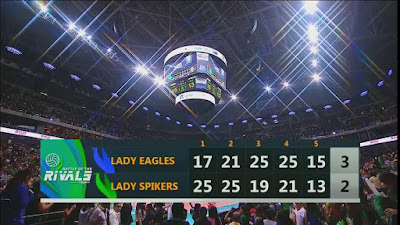 Alyssa Valdez dropped 36 points to lead the Lady Eagles' dramatic 5-set win over Lady Spikers. FINAL: Lady Eagles come from behind to beat the Lady Spikers! Catch the #BattleOfTheRivals TELECAST on July 22, 6PM on S+A 23 & S+A HD 166. Ara Galang drops the 🔨🔨🔨!!! Watch The winning shot by Ateneo Lady Eagles that gave them the win here at #BattleOfTheRivals! ALYSSA VALDEZ FOR THE WIN!